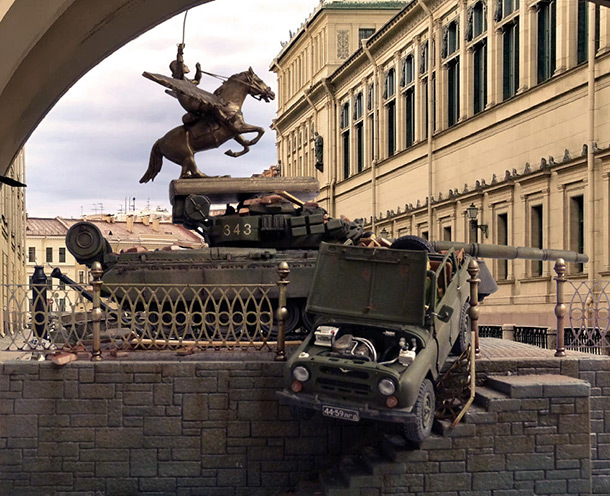 Diorama was inspires by the movie of the same name. Models by Zvezda and Trumpeter, figures and accessories by ICM and MB used. Acrylic paints.